Galaxy Software Solutions, Inc. is a seamless extension of our clients’ IT organization. We provide total ‘inception to completion’ value-added project management solutions to our clients. 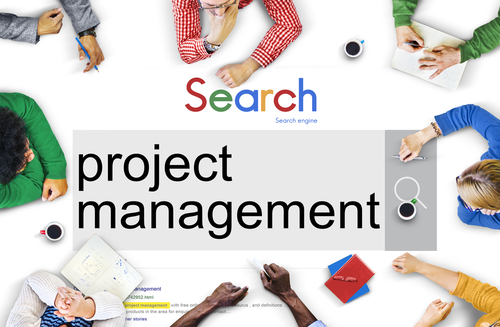 Galaxy Software Solutions Inc Project Management Team strives to provide soltuions to our clients with the finest resources, tools and methods available. As a trusted advisor we work diligently to ‘rise above’ all expectations. On every assignment our clients and consultants receive full support of our company to ensure a winning outcome. Our goal is to achieve successful outcome by providing unparalleled customer service through combined commitment of our consultants and fulfillment teams. Driven by customer concerns for cost effectiveness, reduction of corporate staff functions and a general trend toward adoption of a ‘doing more with less’ philosophy, Galaxy offers a variety of program management and technical support services to its customers. Galaxy aims at being the Project Management Consultancy contractor of choice by supporting its customers’ business objectives and consistently delivering projects with outstanding safety and environmental performance that meet cost, schedule and quality targets. Galaxy Software Solutions Inc understands the importance of managing all the component parts of a complex program equally; we manage the whole by managing the pieces. We pay close attention to the small tasks that, if overlooked, can create a flow on effect on scheduled milestones or costs. This philosophy is a cornerstone of our approach to program management.